An essential tool for those who are interested in becoming successful Gas Furnace Service Technicians. 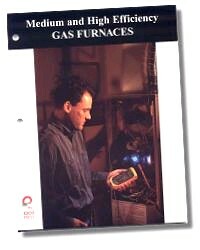 This unique field guide discusses each important aspect of the medium to high efficiency gas furnaces used in central heating applications, from the combustion process to the venting of the furnace itself. 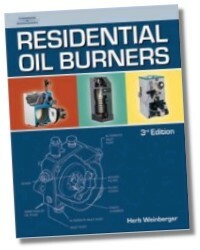 The author Richard Jazwin also provides detailed information on other related topics including: furnace construction, controls and components, ignition systems, sequences of operation, basic service procedures, and electric / electronic troubleshooting and repair. In addition to providing a basic understanding of furnace design and operation, this in depth manual also details the significant advances made in the furnace industry. "Medium and High Efficiency Gas Furnaces" is an essential tool for those who are interested in becoming successful service technicians. Chapter 1: Combustion - Review of combustion and its necessary components. Chapter 2: Furnace Construction - Physical construction of the furnace, which allows heat to transfer. Chapter 3: Furnace Controls and Components - Discussion of the controls and components that deliver the correct amount of fuel and air to the furnace. Chapter 4: Ignition System - Description of the basic types of ignition systems in use today. Chapter 5: Sequences of Operation - Working sequence of operation for several different furnaces. Chapter 6: Basic Service Procedures - Tools for checking and servicing a furnace. Chapter 7: Electric/Electronic Troubleshooting and Repair - Strategies regarding troubleshooting and repair of furnaces. Chapter 8: A look at how new furnaces with forced or induced draft have changed the requirements for properly venting a system. Richard Jazwin is the Director of Curriculum at Universal Technical Institute in Phoenix, Arizona. Jazwin is an active member of the following societies: The American Society of Heating, Refrigerating and Air Conditioning Engineers, the Refrigeration Service Engineers Society, the Society for Technical Communications, the Author's Guild, and the National Society for Performance of Instruction. Mr. Jazwin is the author of; "Troubleshooting and Servicing Heat Pumps Systems", "Medium & High Efficiency Gas Furnaces", "The HVAC/R Professional's Field Guide to Alternative Refrigerants", " The Four R's", and several other publications.